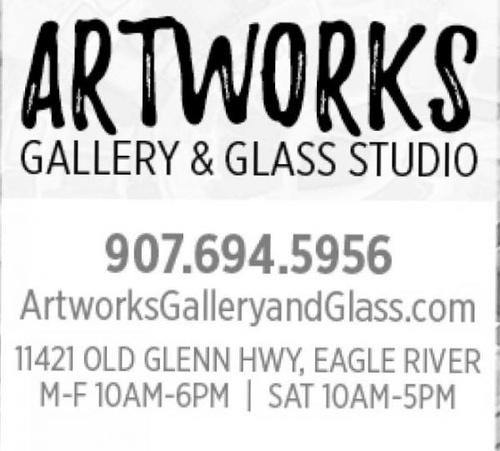 Artworks Gallery & Glass is a wonderful art boutique in Eagle River, Alaska, featuring beautiful, whimsical, and functional works of art created by more than 100 artists from Alaska, the Lower 48, and Canada. Artworks is all about art that is fun, colorful, and affordable, and a shopping experience that is comfortable and relaxed...one where you know you'll always feel welcome. Our inventory changes frequently and includes blown glass, stained glass, pottery, fabric art, jewelry, metalwork, fused glass, collectibles, ornaments, and so much more!